In the last post, we learned how to grab domain name using Alibaba Domain Service. Now, before jumping further let’s understand the first and most interesting part which is Elastic Computer Service (ECS). By the name, It might give you some sense that a service which might have Elastic feature. Isn’t it? 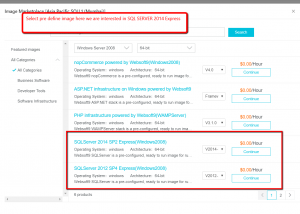 Let me explain you this by one example, suppose you have a nice e-commerce site which you hosted on a dedicated server from a xyz hosting service. So, far your e-commerce site is working fine and now holiday season came and all of sudden you find there is much more traffic than your expectation and your site started crashing. You get lots of feedback from the end consumer that your site is not responding properly. In such case, you will think of network bandwidth upgrade and also upgrade the hosting package which is obvious but after holiday season off you still dealing with the same high-end server which might not be required going forward. Apart from this, you might need to have to have a backup server always to disaster recovery and for that also you are paying a high cost. 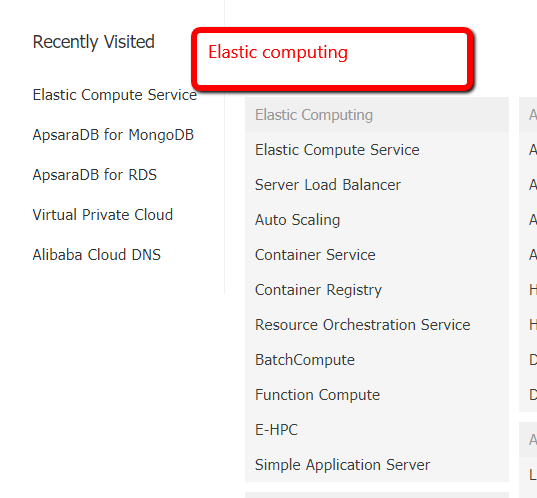 So, in Alibaba Cloud Computing Elastic Computer Service gives you the flexibility to solve this type of problems. With Alibaba ECS service you can create a machine with desire configuration like –upgrade /downgrade bandwidth, RAM, Storage by simple steps and within a few minutes moreover pricing is very cheap. Alibaba Cloud ECS is secure which is a most important need for any e-commerce business. To setup, a virtual machine in Alibaba ECS is very easy. Before proceeding further let me share important points that would help you create your configurations. 1) PAY AS YOU GO- Which means you have to pay the amount of hourly use. Most of the time people choose this plan for a development machine and other best part is you can schedule the release of the resource as well or can release anytime when you want. 2) Subscription:- This is another billing mode in which the charge would be on the subscription basis. This will be a good option for production machines where we have to run web application or database 24 X7. Zone & Region:- Here Zone and region mean the actual or we can say physical data center. for example, if your website target area is India then the ECS should create in Alibaba’s Asia Pacific region and Mumbai Zone. With Alibaba Cloud support Horizontal & vertical scaling. We can do load balancing, upgrade, downgrade resources anytime. I hope with this you might have a basic understanding of ECS. In next step, we will see a 5 easy step to deploy your first ECS Windows operating system instance.